Sputnik Brazil has asked representatives of Russia’s space agency Roscosmos to say a few words about the Russian orbital constellation of remote Earth sensing satellites. When asked by Sputnik Brazil about the primary tasks assigned to the Resurs-P observation satellites, about their number and whether new such probes will eventually be added to the ones already in orbit, the Roscosmos officials said that there were three Resurs P satellites currently in place, launched in 2013, 2014 and 2016. 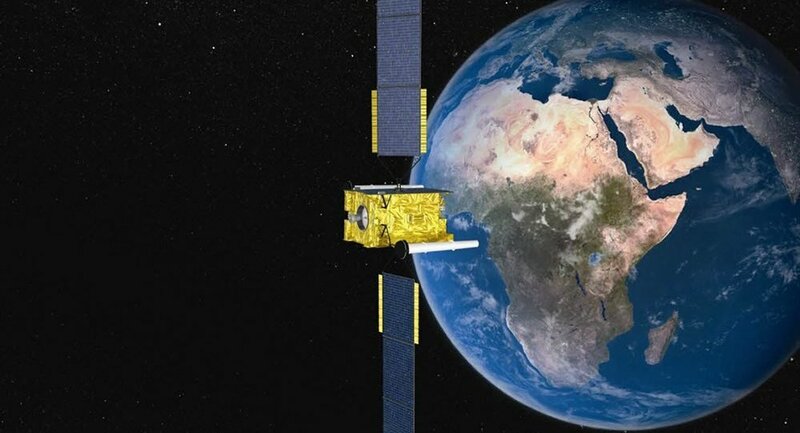 The orbital group ensures round-the-clock observation of the Earth’s surface sending down obtained data via a high-speed radio communications system. According to the Roscosmos representatives, the Resurs P satellites offer domestic and foreign users a wide range of services, such as high-resolution, wide-angle and multi-spectral observations of the Earth's surface. Their onboard cameras can produce images with a resolution of 12 meters and cover 97 kilometers in its image. The KShMSA-SR camera has a resolution of 60 meters and it can cover 441 kilometers. The cameras ensure simultaneous imaging of the Earth’s surface in various spectral ranges and a high degree of geotagging. During the past three years the troika of Resurs P satellites has downlinked high-resolution photographs of the over 200 million square kilometers of the Earth’s surface. These highly detailed images are used in cartography, in monitoring disaster zones, estimating the effects of natural and man-made disasters and planning the restoration of the damages infrastructure. The satellites help take stock of the natural resources, ensure better planning of economic activity, and are ideal means of prospecting for oil, gas, ore and other natural resources. Information provided by the Resurs P satellites is widely used by dozens of countries, signatories to the International Charter on space research and disaster management. The fourth and fifth Resurs P probes are slated to be launched in 2018 and 2019. When asked whether the technology used by the Resurs P satellites was entirely Russian, the Roscosmos officials said that the first three satellites currently in orbit are absolutely one of a kind ensuring high- and medium-resolution observation and imaging of vast territories, which leave behind many of their foreign analogues. Speaking about the prospects of the Resurs P satellites being used by Russia’s fellow BRICS countries, they said that even though China, India and Brazil had their own constellations of Earth-observation satellites now in orbit, the Russian satellites’ ability to conduct simultaneous imaging with multiple cameras considerably increased the quality of global monitoring and environmental protection. The strongpoints of the Resurs P satellites are shorter intervals between observations of the same territory, which ensures faster processing of obtained data, more detailed area analysis using images obtained by several satellites. Russia is well known as a global energy superpower, with oil, gas and coal accounting for upwards of 50% of the country's exports (and up to 70% when counting refined energy products). But the Russian economy certainly doesn't live by oil and gas alone as much is being done in the field of technological innovation, scientific breakthroughs and new development in the IT sector of which Russian start-up NTechLab, boasting the world's best face recognition technology, is certainly one. The FindFace Enterprise Server SDK, launched by NTechLab on November 21, gives companies an opportunity to use the most accurate face recognition software within their own corporate IT infrastructure. Previously, the technology was available for businesses as a cloud service, Findface Cloud API.